I’d removed the RC1 part. 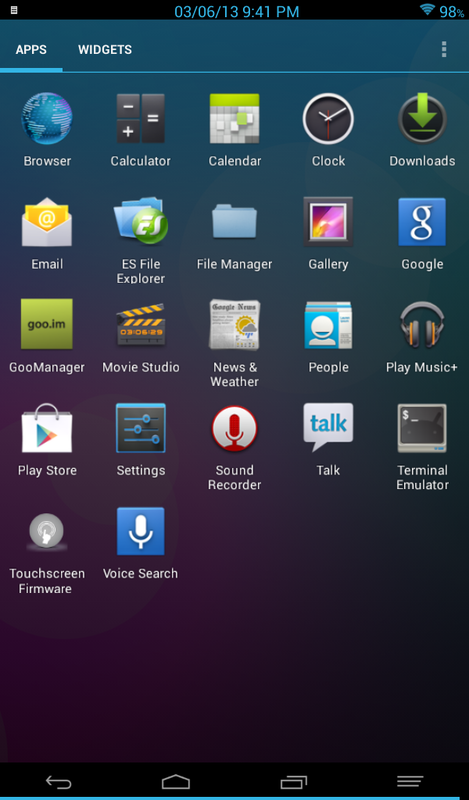 CM7.2 is final as of 615 (stable) as Cyanogenmod will now focus on CM9. I will still work on fixing CM7 for NT. 20120618 Display correct mac, can install apps that installed to removable storage. To save battery, try Settings->CyanogenMod settings->Performance->CPU settings ->Max CPU frequency (1008 MHz), Available governors (Performance), Set on boot. 20120628 Fixed no deep sleep. Set Operating Condition Addendum for CORE OPP voltages. FileManager and RomManager apps are removed. Perfect Viewer, Button Savior, ES File Explorer, Flash Player, and CifsManager apps are included. Included u-boot and MLO from stock 1.4.3. Kernel compiled from 1.4.3 source. If you want to remove those apps, use ES File Explorer (Settings>Root Explorer, Mount File System) and go to /system/app/ to delete them. 20120629 Revert voltages (battery drain). Removed Flash Player (not working properly). Maybe final build unless some crippling bugs shows up. 20120630 Small change to build.prop that fix forced close when using mic. 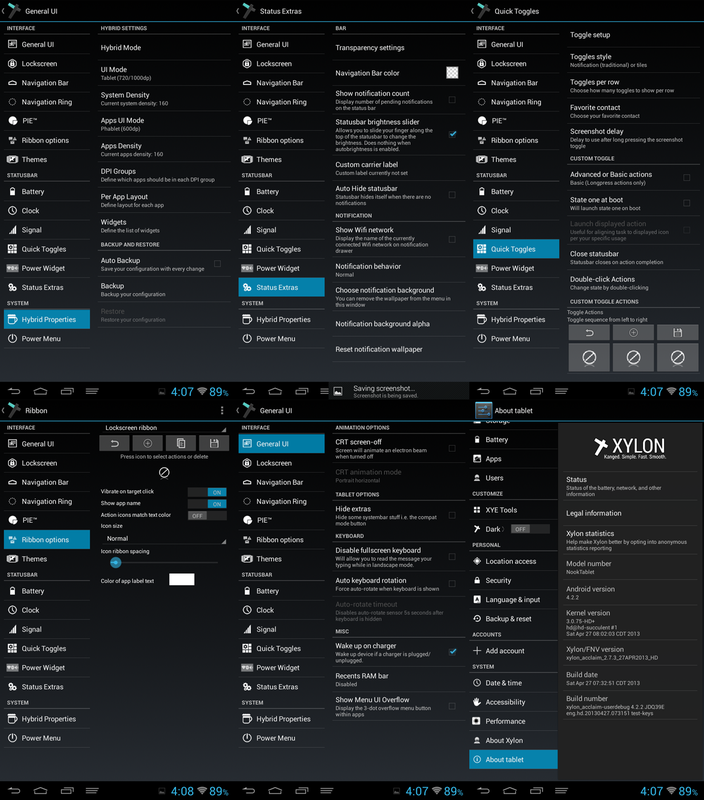 You can also edit the build.prop yourself using ES File Explorer (in Root Explorer setting). Change ‘media.stagefright.enable-record=false’ to ‘media.stagefright.enable-record=true’. Removed some unneeded files. There were 2 goals I wanted to achieve with CM7. I wanted USB host to work with OTG cable so you can use USB devices. Unfortunately I don’t have a powered USB hub to test with my OTG cable. Second, I wanted to test different configurations with kernel and device source. It led to many mistakes, but it was fun fixing it. I think I am done with CM7 and moving on to compiling and testing CM9 permanent.